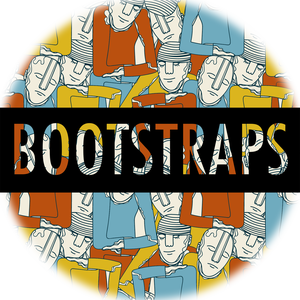 Pale Blue Dot Media, Netroots Foundation, and HandUp are teaming up to raise the funds for a basic income pilot which will be filmed and shared with the public in the upcoming film BOOTSTRAPS. This pilot will involve providing 15-20 Americans from various regions and walks of life with a weekly stipend amounting to $12,000 annually for two years. Netroots Foundation is a 501(c)3 organization will be acting as administrator of the funds for the duration of the pilot. The filmmaking team at Pale Blue Dot Media includes Deia Schlosberg and Conrad Shaw. Deia most recently produced Josh Fox's latest film, HOW TO LET GO OF THE WORLD AND LOVE ALL THE THINGS CLIMATE CAN'T CHANGE (2016), which premiered at Sundance and is available on HBO, iTunes, Google Play, many other services, and has screened at hundreds of film festivals and community events around the world. Deia earned an MFA in Science & Natural History Filmmaking at Montana State University in Bozeman, where she produced and directed BACKYARD, which looks at the human cost of fracking. The film won two student Emmys (Best Documentary, Bricker Humanitarian Award), and screened at many film festivals, winning several audience choice and special jury awards. She also co-produced and directed Cold Love, a look at one explorer's 25-plus-year career of investigating the world’s coldest places and the climate change impacts that he’s witnessed first-hand by doing so. Deia was also awarded a 2009 National Geographic Adventurer of the Year award for a two-year, 7800-mile through-hike of the Andes Mountains. Conrad is a New York-based film and stage actor and screenwriter. Originally from Colorado, he earned a degree and a few years experience as a mechanical engineer before switching gears and moving to New York to pursue his passion of storytelling. He graduated from the two-year Meisner training program at the William Esper Studio in midtown Manhattan. Alongside current documentary and acting work, Conrad is also developing a feature narrative film called ROLLING WITH VIRGIL - www.RollingwithVirgil.com - and a long form television drama series called JELLYFISH. Bootstraps Basic Income Pilot is fiscally sponsored by Netroots Foundation.